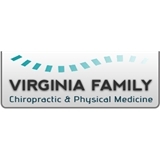 Virginia Family Chiropractic (Alexandria) - Book Appointment Online! Located throughout Virginia, the leading health professionals at Virginia Family Chiropractic are dedicated to helping you achieve your wellness objectives — combining skill and expertise that spans the entire chiropractic wellness spectrum. Virginia Family Chiropractic is committed to bringing you better health and a better way of life by teaching and practicing the true principles of chiropractic wellness care. Patients seeking treatment at Virginia Family Chiropractic are assured of receiving only the finest quality care through the use of modern chiropractic equipment and technology. The Virginia Chiropractors, we have on staff are genuinely concerned about your health and well-being! If you are just beginning your search for a Virginia chiropractor – please take a moment to discover and learn how Virginia Family Chiropractic can help you obtain the pain relief you need. He was very professional and thorough when he explained my diagnosis. He was a very pleasant and easy to talk to. His staff was also very pleasant and professional. I enjoyed my visit and looking forward to working with Dr. Hatam so that i can feel better.